There’s a good reason to pay a visit to IKEA ahead of the Easter holiday, even if you’re not planning a kitchen remodel or a living room upgrade any time soon. The Swedish retailer has launched a chocolate Easter bunny that, in line with its DIY ethos, requires a bit of at-home assembly. 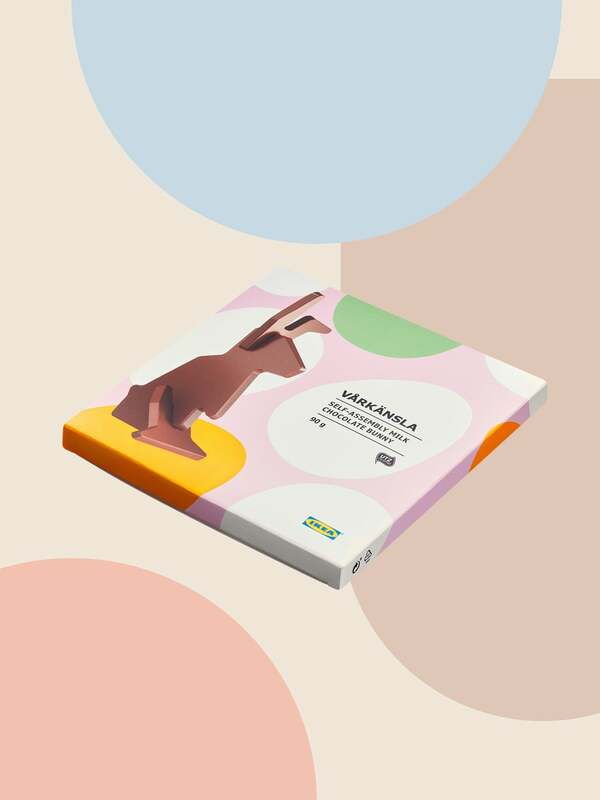 The Vårkänsla is a milk chocolate rabbit sold in three different flat-packed segments for under $5. Sure, this IKEA original can be assembled without the help of a friendly neighbor or helpful family member, but that’s not to say it’s not made to be enjoyed in the company of loved ones. The three-piece construction makes it perfectly shareable and the act of biting off its ears even more satisfying. The chocolate treat is available in-stores only, but there are plenty of other reasons to drop into an IKEA near you ahead of Easter. On April 5, nationwide stores will host the retailer’s annual Swedish Easter Påskbord, a buffet-style dinner of Swedish food. Think herring, salmon, crispbreads, potato salad, and, of course, meatballs. Additional sweets available in stores make for great Easter basket accoutrements, especially for the person in your life who can’t stop raving about its Billy bookcase or Pax wardrobe. Discover more of IKEA’s Easter offerings below. Lingonberries give milk chocolate a lively boost in this candy bar. Better yet, the cacao in this product is UTZ-certified, so you can rest assured that it’s harvested ethically and sustainably. Consider these rhubarb-and-citrus flavored jellies the Swedish version of Sour Patch Kids: First they’re sour, and then they’re sweet. These dainty almond paste–covered cakes look stunning in an Easter spread, especially when you don’t have time to whip up an impressive dessert. Want to go really traditional? Try Julmust, a Swedish soft drink found around Christmas and Easter. Its taste isn’t dissimilar to Coke or root beer.